Trade Minister Premila Kumar says this is the best representation of women in parliament at any point in time in Fiji’s history. While giving her maiden speech, Kumar says this calls for a celebration and is sure that the presence of the 10 female parliamentarians will inspire and encourage women to take up leadership role in their respective field of work. 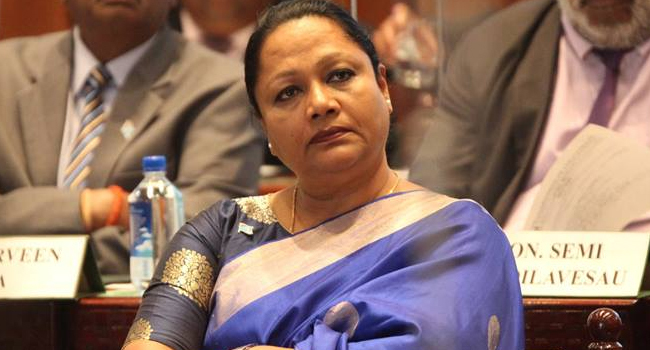 Kumar says she joined FijiFirst due to the proven track record to deliver meaningful change to its people. She adds that under the leadership of Prime Minister Voreqe Bainimarama, the country has achieved more for all Fijians than other government in Fiji’s history. Kumar reiterates that she will work on what has been laid out in FijiFirst manifesto.